Yeah, I hear you. News like this does not sit well with a lot of people, but what with copyright issues being at the forefront these days, you really cannot say that it is unexpected can you? Yesterday, Intel announced a new feature on their next-generation Core chips. Dubbed Insider, the feature offers studios the incentive of providing access to more high definition movies via online streaming. The main issue of studios with regard to high definition movies and online streaming is the fact that users can copy the movies. Of course, once a movie has been copied onto one’s hard drive, so many complicated questions arise. 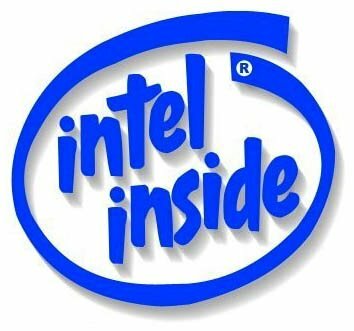 Insider is Intel’s answer to the concerns of the studios – the feature has an end-to-end protection layer that will ensure that streaming movies will not be copied. Tomorrow, January 5, we will be hearing more about this new generation of Intel Core processors with Insider as Intel conducts the official launch. On the one hand, this is good news. With such measures in place, studios will be more comfortable offering their premium quality movies online. This means one thing: the choices that we have will only become more varied, and for those who are nitpicky when it comes to visual quality, then HD streaming will only sweeten the pot. On the other hand, I will not be surprised to hear grumblings here and there about how restrictive this move is. On to less controversial news: the next generation of Intel chips are going to have seriously beefed up graphics features. Now who can complain about that? Seriously? Prevent piracy? The main thing this will do is stop piracy of the source files… that is if it has been distributed in X format that it can’t be copied on in X format. Nothing is stopping you from taking the HDMI signal – if it can be displayed on an LCD matrix then it can be taken back in at a digital level an re-encoded to another format. Worst cast scenario a pirate would just configure a good quality video camera to have a locked exposure and point it at the screen. Don’t laugh – the results look pretty stunning. This move is not going to stop piracy. Just make it more of a closed circle which will get back to the public anyhow. This move ONLY leads so that Intel have a further stake in the video market and can justify putting their prices up. And stops people from overclocking as it would mess up all the timing. I hope they drop this “video on chip” rubbish and actually release a chip that is an advancement – something with quad-channel memory and a faster clock speed.